South Korea’s initial public offering market is expected to rebound this year on the back of large companies’ plans to debut shares, after its size sank to a five-year low in 2018, industry watchers said Monday. Among those expected to issue IPOs this year are major firms in their respective fields, Hyundai Oilbank and Kyobo Life Insurance, both of which are likely to make big waves in the market. With the two, the market is forecast to gain up to about 4 trillion won ($3.6 billion), which is already higher than last year’s tally of 2.8 trillion won. Industry insiders project the market would reach up to 10 trillion won overall. 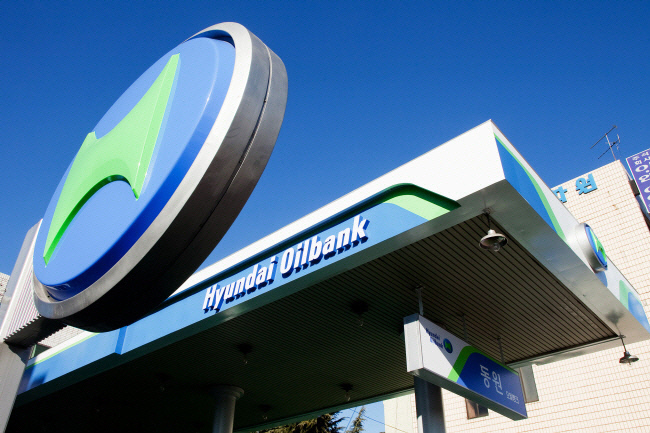 Hyundai Oilbank, with an estimated corporate value of 8 trillion won, is expected to sell shares worth 2 trillion won. The firm was granted preliminary approval by the Korea Exchange in August last year, but its IPO was delayed due to a longer-than-expected accounting audit by the Financial Supervisory Service and Korea Institute of Certified Public Accountants. “We are currently looking for the right moment to debut our shares,” Seol Jung-hoon, a spokesperson for Hyundai Oilbank, told The Korea Herald. “The accounting audit is completed and other issues surrounding the matter was resolved in late 2018. Last year, we didn’t feel the need to rush because (when the audit was completed) the trading for 2018 was wrapping up,” he added. The oil refinery firm was cautious in revealing details of its planned IPO, saying that it has yet to file the registration statement. But with the approval it received in August effective for only six months, industry watchers expect the debut by February. Kyobo Life Insurance, which seeks to become a listed insurer 60 years after its foundation, also plans to make its debut this year. Though it has yet to officially disclose the size of its public offering, reports said its IPO underwriters proposed a range of 1-2 trillion won. The firm has retained Credit Suisse and NH Investment & Securities for the role. Kyobo’s corporate value is estimated to be in the 4 trillion won range. Those who have deferred their 2018 IPO plans to this year, such as Kakao Games and SK Lubricants, may seek the local stock markets again. The game development unit of Kakao Corp. called off its IPO plans last year, citing poor market conditions, while SK Lubricants withdrew on claims of institutional investors’ insufficient evaluation of its corporate value. The annual volume of capital raised through IPOs marked the lowest in five years in 2018, which dampened investor sentiment amid concerns surrounding a US-China trade war. A total of 79 companies carried out IPOs worth a combined 2.8 trillion won last year, down 64 percent from a year earlier.